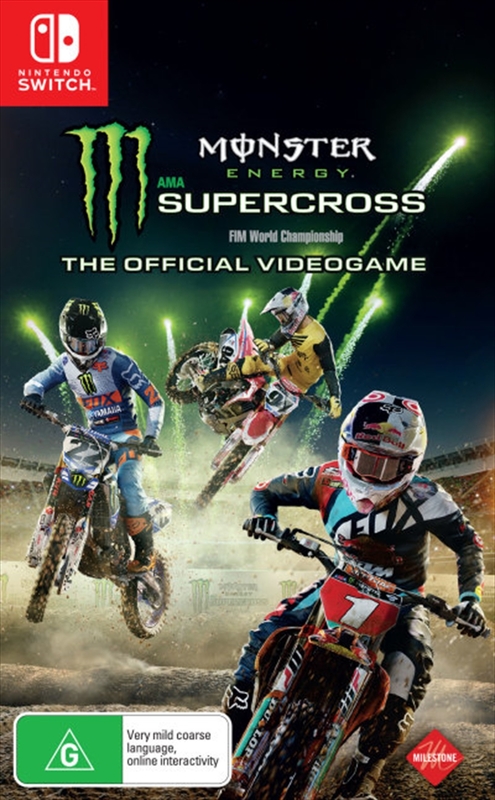 Live the adrenaline and the excitement of the 2017 Monster Energy Supercross Championship with MONSTER ENERGY SUPERCROSS - THE OFFICIAL VIDEOGAME! Race with the official riders from 250SX and 450SX on the official tracks, Daytona included, to experience one of the most spectacular and entertaining racing competition ever! Customize your rider and bike as you like, with countless possibilities, with more than 80 official brands and 300 items available, and challenge yourself in conquering the top of the leaderboard. Feel the rush of adrenaline, enter the arena and be the King of Supercross! The official 2017 Monster Energy Supercross Season. Official bikes, iconic tracks, like the legendary Daytona, and athletes from both 250SX and 450SX Classes. An exciting career mode with extreme customization options for both riders and bikes. A next-level immersive experience with an accurate reproduction of bikes, tracks, accessories and athletes' aspects.